The Minister of Agriculture, Irrigation, and Livestock of Afghanistan Nasir Durani on Wednesday laid the foundation stone for the construction of Afghanistan Saffron Institute during his trip to western Herat province of Afghanistan. In his speech during the ceremony, Minister Durani said the institute will be built until the end of the fiscal year 1398 with a total cost of 85.8 million Afghanis. 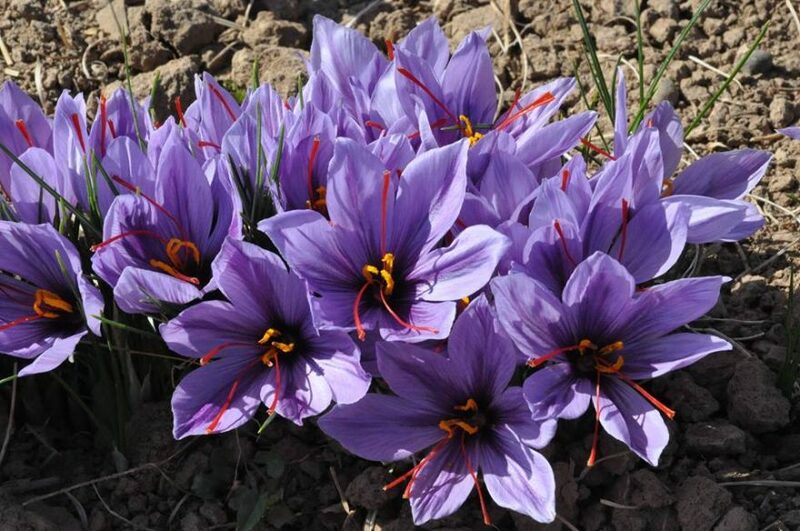 According to a statement by the Ministry of Agriculture, Irrigation, Livestock (MAIL), the Afghanistan Saffron Institute will be the first well equipped institute in the country where scientific studies would be conducted regarding the Saffron in Afghanistan and the institute would also be used for the promotion, realization, policy making, and marketing of Saffron products. In the meantime, Minister Durani said the institute will play a key role in the promotion and realization of the expansion of Saffron cultivation in the country. He said the institute would also help with the marketing, benchmarking, nourishment, cultivation, and process of Saffron and will assist with the implementation of 5-year plan for the development of Saffron in Afghanistan. According to Minister Durani, earlier estimates indicated that Saffron cultivation was around 12 tons per year but the latest survey shows that the cultivation level has reached to 15 tons during the fiscal year 1397.